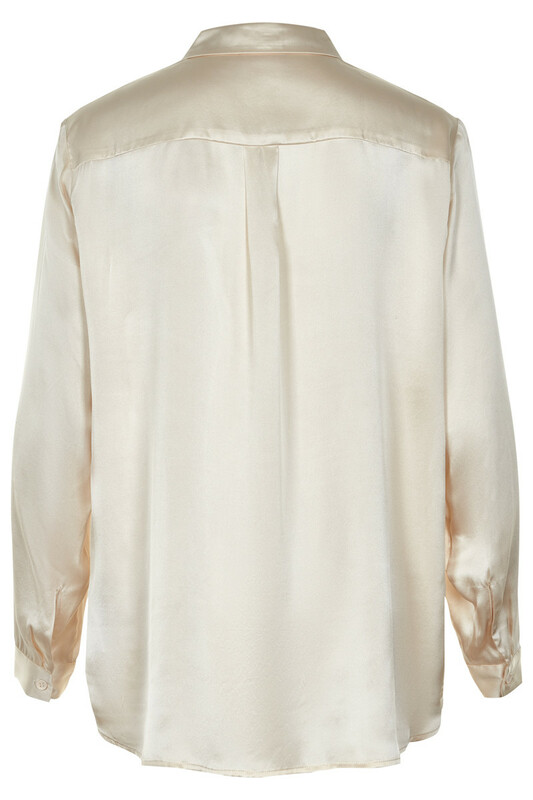 Beautiful, simple shirt in gorgeous silk. 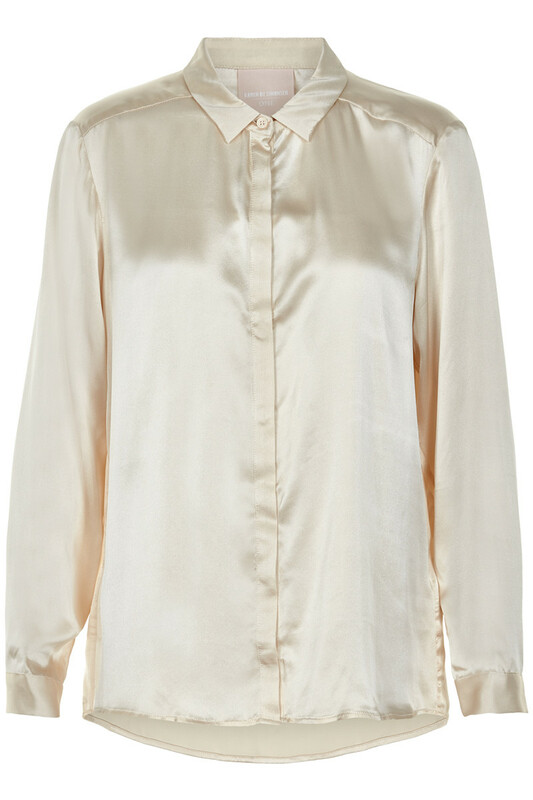 The shirt has a regular fit, a collar and does up at the front by concealed buttons. It is slightly longer at the back.